The accommodations are 5-star. You will not be sleeping in tents or in a hotel. Individual bungalows accommodate 2 people. 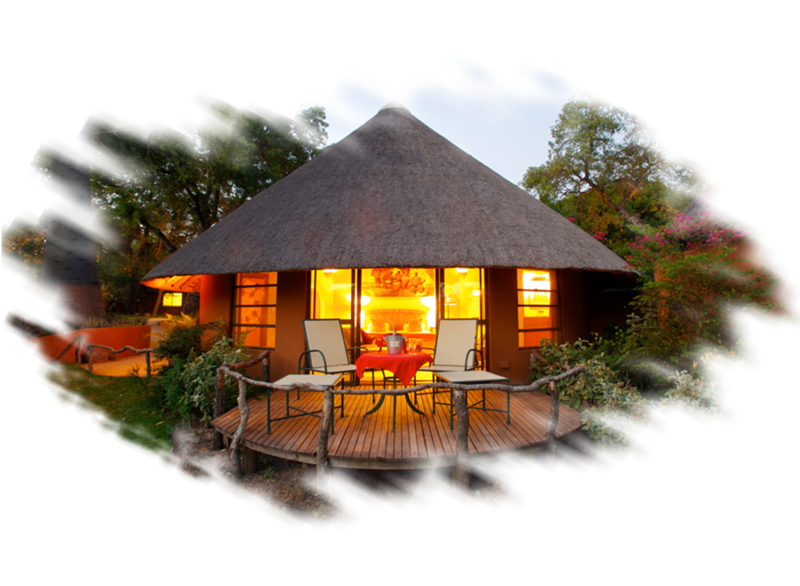 The traditional buildings are called "rondavels" and they are built with stone and plaster walls with hand thatched ceilings made of elephant grass and local timbers. 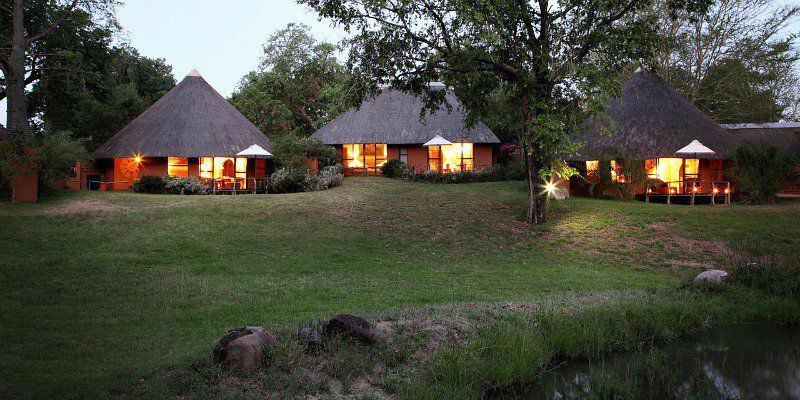 The rooms are climate controlled and have a large sliding-glass door/viewing window and small deck which looks over either a watering hole or the river. It is not unusual to find wildlife right outside your door. Your rondavel comes equipped with two bathrooms. 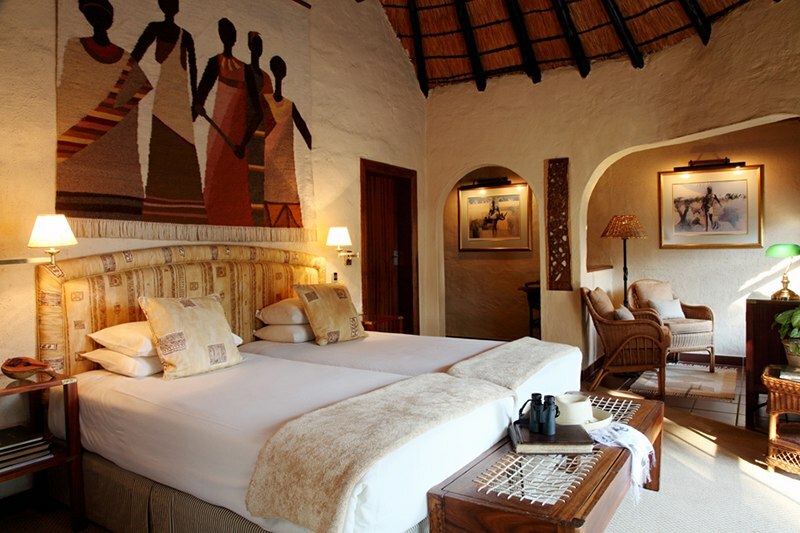 When getting ready for your morning game drive, you will not need to fight over the facilities with your companion. Dining is incredible. 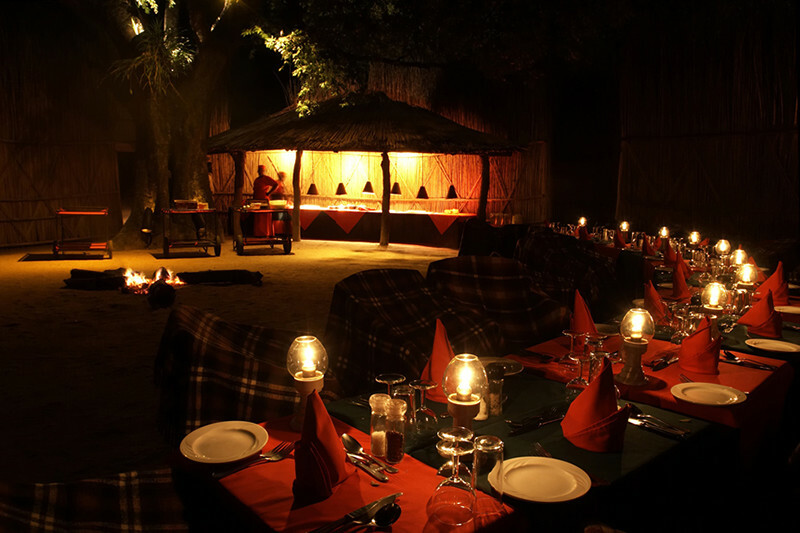 Three meals are provided per day, in addition to snacks, h'ordeuvres before dinner, and sunset drinks and munchies when we can pull ourselves away from viewing the incredible wildlife. Food preferences and allergy concerns can be accommodated with notice. It is important to remember that we will be visiting the real wilds of Africa. We are not going to a drive-through safari park or zoo. Animals are completely wild and we are in their territory. It is important to stay within the boundaries of the camp. After dinner, you will be walked back to your room by a ranger. You are perfectly safe in your room, but it is important that you do not leave the room without being accompanied by staff until the sun comes up. It is not unusual for leopards and hyenas to wander through the camp. Visiting the "real wild" requires certain considerations.